I am with a group of gentle but fiercely dedicated people whose cause is the Earth and the other species with which humans share life on the planet. One of them is a man who spends most of the year in the far north, monitoring changes in the oceans and the ice cap. He is troubled that the survival of a certain genus of giant whale may now be at risk. He shows me video he recorded during close-up, deep-sea encounters with two of these whales. Fascinating to watch their mating habits. Troubling that Earth changes generated by humans may be threatening their survival. Next, I am leading a weekend workshop. I am delighted by the caliber of the participants, and by the gender balance in our group of about forty people. There are nearly as many men as women, which is rare in programs devoted to inner work. Some of the guys are keenly interested in developing practical applications for the Active Dreaming techniques, and for bringing them into social and professional networks to which they have access. I sit with four of these men on a grassy knoll under some trees during one of our breaks. I would guess that their ages range from the late 30s to the early 50s. They are all educated, self-made men who have been successful in different fields. Some have created their own businesses. They know how to get things done, and they are excited to have a project that goes beyond any previous venture. One of the guys feels that helping people to follow their dreams is a noble cause, and tries to express this by saying, "We want to revive the original idea of the duke." This sounds a bit grandiose, though I recollect that this title of nobility derives from the Latin dux, or "leader". I gently deflect the medieval fancy, while thinking, in the same moment, This is great. These are the knights of dreaming. My little dog pulled me out of my dreams at this point, this morning. But I rose into the day feeling very happy and grateful that such promising connections were made, overnight. These were social dreams. I have no doubt that the encounters were real. I'll be alert to see how they can now manifest in waking life. A Russian friend living in New York has just provided proof positive that dreaming is more than hot air. She received an email from her mother, who lives in St Petersburg, recounting a dream. "My mother writes that in the dream she is flying in a hot air balloon over St. Petersburg and showing the University to a friend of mine who is visiting the city. "My mother spent half a century at the University, studying and then teaching and doing research, and is quite attached to the place, so her part in the dream is natural. What seized me was this: one of my friends from graduate school is going to St. Petersburg this winter and recently discussed his plans with me. My mother has no clue about these preparations and has never met the guy - except in her dream." This looks like a clear case of dream telepathy, wonderfully animated by the dream producers. What makes the mother's telepathic hit all the more interesting is that a trip by a foreigner to St Petersburg in the dead of winter is an eccentric move, because of the weather. I am delighted by the detailed reports dream travelers have brought back from a journey to a museum where they can find secrets from other lives and other times. As they share their adventures, I am taking more care than usual to make notes in my travel journal. Although I am using a new ballpoint pen, the flow of ink is erratic. I shake it to try to improve the flow, then try writing letters again where previous efforts have left only indentations on the paper. When I press down hard, the results are worse than before. I try writing lightly, letting the tip of the pen just skim the paper. This works better. By this, she appears to be saying that she went to an alternate Louvre museum, in the imaginal realm. She found that inside, it had double walls. She could step through any wall and find, an arm's length behind it, a second wall, behind which the real treasures were to be found. She had a particular interest in a mystery of the American Civil War, involving "two lost names". She found the names. I duly recorded the first: "Orlando Orlando or William Orlando." I wrote down the second name also, but can't recall it write[*] now - since I woke to realize that I was doing all this recording inside my dream, not in a literal journal. The dream content was quite typical of workshops I lead where a frequent and popular group exercise is to travel to a space like a library or museum where it is easy to find portals to other times, or speakers from those times. The literal-ness of the dream (in the context or how I spend my days) makes me feel that my dream self either (a) went ahead of me, across time, to lead a program I'll lead in ordinary reality in the future or (b) taught a workshop inside the Dreamtime, which would not be a novelty. The trope of trying to record something inside a dream will be familiar to many dreamers. Sometimes we are quite convinced we have journaled everything - until we wake, to find the relevant page in the bedside notebook blank. Still, the physical-seeming effort of having to write over and over to get ink on the page did succeed in imprinting a few memories that remained in my waking brain. * I'll leave the slip, on the principle that we want to notice what's showing through our slips. Clearly, a message for me is WRITE NOW. Pomegranates are red in the tree. I have not tasted the seeds, this time. A blue gate creaks on its hinges. and the wild boars dream of truffles. on thundering hooves the black bulls come. when they are called to the sea. Pounding white sand, unstoppable force. My heart leaps at their running. who has found his ride to the Goddess. of a thousand corridas is red in his eyes. in a field of Van Gogh yellows. and tosses me over the sea. Is this Death? thrown into the sky. Can he be so young? My second self is swallowed by fire. from the yolk of the sun. He is not the same. Now he is dressed to kill, in matador garb. He is on his way down, flying, not falling. whose face he is wearing. I open. We are one. Dreams guide us to the necessary past, to the history we need to know and use. Dreams may also trigger and direct specific lines of research. Dreaming, we have direct access to the realm of the ancestors. Sometimes they reach to us, in dreams, as an ancient priest of Nippur appeared to the Assyriologist Herman Hilprecht when he was puzzling over the meaning of two fragments of agate or as an ancient atetshents (“dreamer”) and clanmother of the Mohawk people called me to work that required me to study her language and reconstruct the shamanic dream practices of her tradition. We can choose to reach to the ancestors through dream incubation and by developing the skills of shamanic dreaming. The practice of dream archaeology involves reclaiming authentic knowledge of ancestral traditions, including those that may have been buried or suppressed in the course of history, through a combination of careful research, active dreamwork and shamanic journeying across time and between dimensions. The dream archaeologist combines the skills of the shaman, the scholar and the detective. We let dreams set us assignments. Secrets of the past, of which the waking mind may know nothing or very little, come to us in dreams because we are ready for them, and because the ancestors speak to us. As dream archaeologists, we work with such dreams through focused investigation, tracking that strange word, looking again at the fragments of that figurine. We also carry our exploration into the dream space, by learning to go back inside a dream, wide awake and conscious, as an archaeological team may penetrate to previously hidden levels of a site, or the inner caves where the great revelations are to be found. I call this technique dream reentry. It is practiced wide awake and conscious, and may be a joint venture by a whole group of active dreamers. We use shamanic drumming to fuel and focus our expeditions, using a dream image as a doorway to harvest more information, open direct dialogue with the ancestors, and go to the deeper levels of reality where the meaning of things can be found. We are open to the phenomenon that Yeats, with poetic insight, called the “mingling of minds”. This means that when we give our best efforts and passion to our chosen work or study, we draw the support of intelligences beyond the everyday world, including those of past masters in the same field. 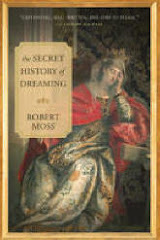 Dream archaeology guided my research and writing, at every turning, in the creation of the three novels that comprise my Cycle of the Iroquois - Fire Along the Sky, The Firekeeper and The Interpreter - and in the retelling of Iroquois cosmology and the reclaiming of ancestral methods of shamanic dreaming in my nonfiction Dreamways of the Iroquois. Last night I spoke in the presence of the Four American Kings - portraits by Jan Verelst of three Mohawk chiefs, and a Mahican, who were received like visiting sovereigns when they sailed to England in 1710 and were received by Queen Anne. I found myself dreaming into the life of one of them in the late 1980s. His name was Sayenqueraghta, a name I translated as Vanishing Smoke. A Mohawk of the Bear Clan, he was the grandfather of Joseph and Molly Brant. His dreaming and his war magic are reflected in the extraordinary tatttoos on his face and chest, meticulously copied by the Dutch artist, who must have wondered at their meaning and perhaps at their energy as the Mohawk posed in the typical posture of an Old World grandee. In my novel The Interpreter, I describe the London experiences of Vanishing Smoke and the Mohawk war leader and skilled politician called Hendrick by the Dutch and the English from their own perspective. This includes the shock of finding themselves in a roiling city of over 700,000 people, when the largest city they had previously seen (Boston) had a population of only 5,000, and the Mohawk population on traditional Mohawk land had fallen to just 580 thanks to smallpox and flight to Canada. The historian in me required me to check every detail in the historical records of the trip. The dreamer and novelist in me then enabled me to add what is not in the documents - for example, how a Bear Clan Mohawk might respond to the torment of a chained bear being mauled by attack dogs for the pleasure of gamblers, when the four "kings" were taken to a bear pit in Hockley-in-the-Hole for what the Englishmen of the time considered fine entertainment. Fire Along the Sky and The Firekeeper are now available in handsome new editions from Excelsior Editions, an imprint of the State University of New York Press. A new edition of The Interpreter, with Vanishing Smoke on the cover, will be published by Excelsior in February 2012. She is standing on the shore, watching a huge ship, as tall as a skyscraper, being readied to put out to sea, under and iron-gray sky. She feels something pulling away from her, like an animate shadow. It pulls loose, and she sees a second self moving away from her, to join all the people on the giant ship. She hesitates. Is she losing a part of herself? Should she follow this second self, on board the boat? Her other self seems old and stooped, and deeply tired. The people on the boat appear gray and somber. She decides to let go whatever has parted company with her, and watches the cruise ship put out to sea. Now there is another change in her. She is lifting up, into a light-filled space above the clouds. She feels herself expanding and growing brighter. The sense of spaciousness delights her. She feels blessed by the radiant energy that is streaming through this changing self. She looks down, and sees the person she left behind on the sure. This person is shrinking as quickly as her self on the higher level is growing. But she's not sure she wants to leave the person on the sure behind. When the Brazilian dreamer shared her story with me, I observed that the dream presents four selves: the one that left on the boat, the one that stayed on the shore, the one that ascended towards a Higher Self, and the one who was witness to all of this. If it were my dream, I suggested, I would be glad that something old and tired - a burden I had long carried - had now been released, across salt water, the great medium for spiritual release. My instinct was that the shadow person on the boat never really belonged to me, but may have been a something from a departed family member or from a therapy client that had been "hitch-hiking" in my energy field for years. This suggestion brought a strong aha of recognition from the dreamer. For me, the welcome challenge of this dream was to bring energy from the Higher Self into the body and life of the ordinary self on the shore. The dreamer clapped her hands, happy to accept this assignment. In the days of journeying, performance and celebration that followed, we saw her bringing that moreness through, with flashing eyes. Dreams not only introduce us to many aspects of our selves; they open ways to live consciously with the energy of a Greater Self. One of the happiest - and most life-transforming - dreams that I heard in Brazil was a dream of a giant wave. The dreamer had been working at a job that was well-paid but felt empty. She wanted to leave her job and study to become a therapist, but a crowd of doubts and calculations made her keep putting off a decision. How would she pay her bills? What would her family say? Then she dreamed she was standing in front of a giant wave that reared up higher than the tall office building in Sao Paulo where she worked. Instead of fearing the wave, or trying to get out of its way, she was filled with joy. She woke with a sense of elation and the deep certainty that if she made her move, all would be well. She left her job, was accepted for a psychology course, and felt life opening up in many rewarding ways. When she told me this dream, over cafezinho and papaya at the breakfast table, I reflected on our different responses to the theme of the giant wave in our dreams. Some dreamers find themselves fleeing in terror from a great wave. This may reflect the fear of something in life that threatens to overwhelm our understanding or resources. It can also be a window on an event in the outer world; thousands of people dreamed of the tsunamis in the Indian and around Japan before they took place. As for the Brazilian dreamer, however, a giant wave in a dream - when viewed with satisfaction or joy during and after the scene - may betoken a time of positive change, and mobilize us to move forward decisively in the direction of change. Years ago, I dreamed I was walking with an animal companion, a deer named Bear. We came to a vast expanse of dry land. The land was fertile, but it was thirsty. We stepped out onto the red earth, and I saw a tremendous wall of water racing towards us from my right. With great satisfaction, I turned my back to the wave, and got Bear to turn also, so we were poised to catch the giant wave and ride with it. I woke with a sense of elation, like the Brazilian dreamer. When I went back inside the dream, by our technique of conscious dream reentry, I found that the wave had swept over the land and rolled back. Now plants - especially papyrus plants, I noticed - were sprouting everywhere. My happiness increased, since papyrus was used in Egypt as writing paper. Before my delighted gaze, the plants now became trees whose fruits were books, new books to be delivered. The dream and its sequel mobilized me to get on with writing a fresh series of books. She dreams of a beautiful three-year-old girl she wants to bring inside the house. The child hears her call, but when she tries to respond, she can't come, because she is tied by a blue ribbon that goes down into the earth. The dreamer knows that at the other end of the ribbon, hidden from her view, is a powerful man who is controlling her against her will. When she wakes, the dreamer is initially confused about the identity of the child. This could be her daughter, although her daughter is now a grown woman. As she reflects on the dream, she realizes that she is dreaming of her own child self. With this comes the determination to bring home her lost child. In the workshop, she resolves to make a journey, through the doorway of the remembered dream, to understand what has happened and to find a way to bring her three-year-old self back into the home of her body and her current life. She feels the edge of fear, but she is reassured by the fact that she has friends in the group who will travel with her - as I drum for the journey - and will bring their power animals and their own spiritual guidance and good intentions to support her in soul recovery. At the end of the journey, her eyes are shining and her cheeks are wet with tears. She reports that she found her beautiful little girl, and managed to detach her from what was binding her. When she tried to understand what that was, she saw photographs of her grandfather, a stern man who insisted that women should be kept in their place. During the drumming, she held her child self very close, rocking her gently, promising that if she came home to her adult self, she would be safe and life would be fun. When the drum sounded the recall, the dreamer felt herself flying back to her body with her child self riding piggyback on her shoulders. She readily agreed that her first step would be to indulge her three-year-old with things she would enjoy - some chocolate cake, with strawberries, from the buffet, and later some time with the swings and slides and jungle gyms in the playground that was conveniently nearby. She also resolved that from now on she would say what she needed to say, and speak truth in the face of male power. "I feel the sun has come back in my heart." 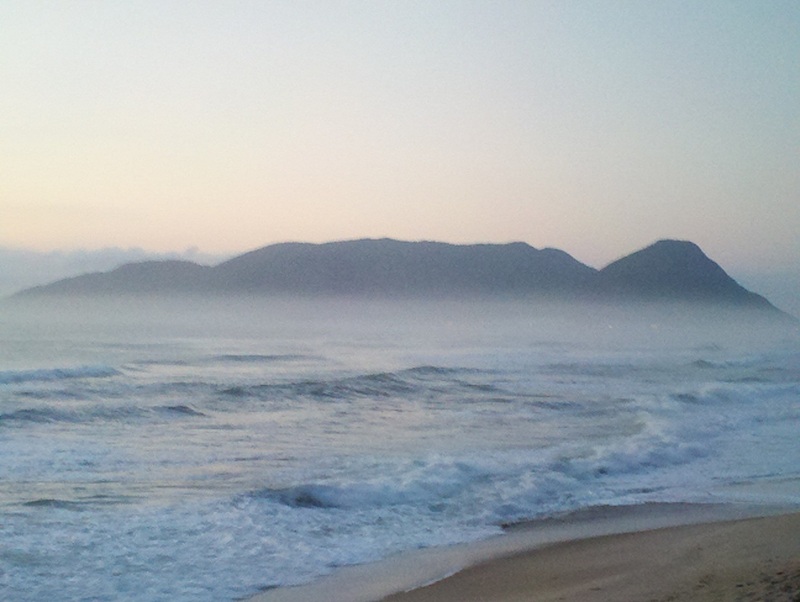 This was one of many journeys for soul recovery I led in my recent workshop in Brazil. Again and again, we confirmed that the right dream can provide the portal for a journey of healing to reclaim vital energy lost along the roads of life.